If there’s one thing Netflix do brilliantly, it’s knowing how to get audiences to binge an entire series at once. 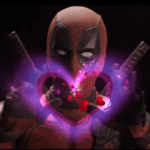 One of their latest offerings (released on Boxing Day no less) takes the stereotypical tropes found in romantic comedies, and violently flips them on their head. 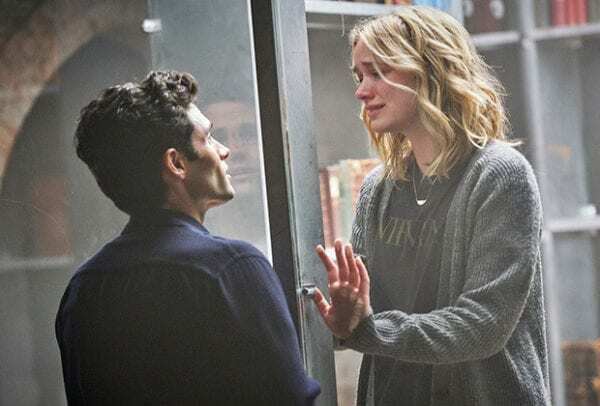 You follows Joe Goldberg (Gossip Girl‘s Penn Badgley) as he falls in love with his perfect woman, Guinevere Beck (Elizabeth Lail). In order to be her ideal partner, Joe stalks Beck, alongside her entire friendship group, so he can perfectly manipulate their relationship. 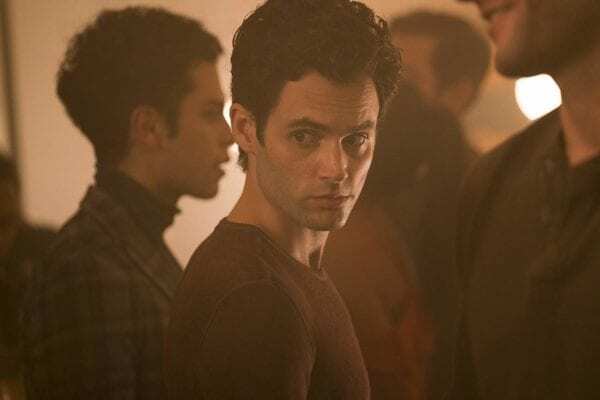 You will likely draw in fans of Gossip Girl, but Penn Badgley has a lot more bite throughout the ten episode season than he did as Dan ‘Lonely Boy’ Humphrey. 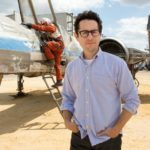 Although he manages to maintain an air of normality in front of his coworkers, his neighbours and Beck – the facade cracks as he struggles to keep up with his sprawling web of lies. Badgley’s performance is a step-up from his previous work as his narration throughout each episode is simultaneously funny and unnerving as he attempts to convince the audience that not only are his actions justified, they’re romantic. Think, 500 Days of Summer meets Gone Girl. Joe seems like an amalgamation of the characters portrayed by Joseph Gordon-Levitt and Ben Affleck in those two very different tales of romance. Unfortunately, because of Badgley’s performance and the way his actions are depicted by focusing so heavily on Beck’s happiness – the show very nearly succeeds in convincing you that they are a perfect pair. That is, until you’re reminded of the violent tendencies that are bubbling underneath Joe’s cool, calm and collected exterior. There are moments throughout the series that come very close to almost giving Joe a pass for his actions, because he truly believes that he’s protecting Beck from the toxic personalities of the people she surrounds herself with. Introducing a stalker who is nearly given a free pass for his abusive behaviour and perversions is a dangerous game to play in 2018. When Joe is given something of an adversary, it’s easy to forget the countless crimes he’s committed. Luckily, it doesn’t get too wrapped up in allowing Joe to be excused just because he’s trying to be romantic, especially when he’s confronted by the consequences of his machinations. It explicitly stresses how dangerous he’s become and his brain his clearly warped. Weirdly, once Joe gets comfortable with the life he crafts for himself, the show grinds to a halt for an episode or two as the thrill of the chase subsides for both the stalker and the audience. The focus shifts from one obsession to another, but it never quite hits the mark. The draw here is Joe’s connection to Beck, rather than how he handles other people. However, the story is cleverly self-aware as a commentary on the typical conventions we’re so used to seeing in romantic comedies. One scene sees Joe trapped in Beck’s bathroom after breaking into her apartment, hiding behind a shower curtain as she’s on the phone. He’s seconds away from being discovered, and he takes the time to tell us that he knows he won’t be caught. His reasoning? Characters in romantic comedies make it out of awkward situations like the one he’s in and still get a happy ending. Beck is clearly a manic pixie dream girl, with her own unique interests and quirks, before Joe projects his own expectations on her and their relationship. He’s so self-assured in his actions that he’s incredibly reckless, although his carelessness will undoubtedly have consequences in a second season (that’s already been greenlit by Lifetime and Netflix). The supporting cast do a superb job of padding out the episodes with extra motivations and problems that weave their way into Joe’s obsession. A sub-plot involving his neighbour, Claudia, and her abusive partner provides a heroic story for the stalker, another element that doesn’t quite sit right at times. Luckily, there’s something of a parallel between the abuse going on mere feet away from Joe and his own actions. He’s quick to label what’s happening to Claudia as wrong, but is blind to the fact that he’s also an aggressor in his own relationship. 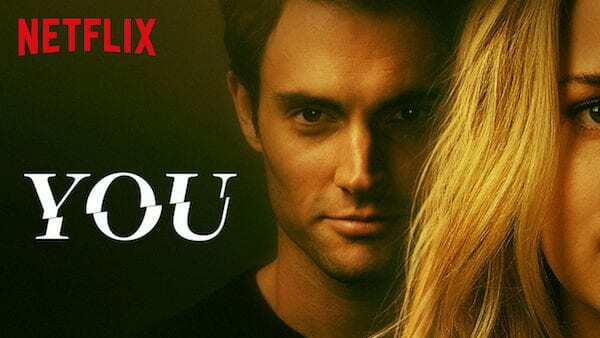 You is easily bingeable thanks to a talented cast and cliffhangers strategically placed at the end of dramatic episodes. It doesn’t offer anything spectacular for horror fans, and but it is a well crafted thriller that actually has some substance to it.